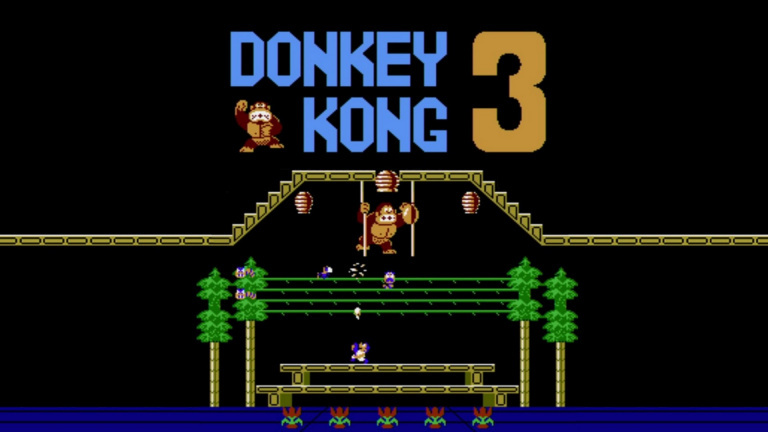 Description Donkey Kong 3 on SWITCH is directly adapted from the arcade terminal of the same name. The Gorilla Donkey Kong redone his. You must try to repel his attacks over the many levels. To do this, avoid the insects that he throws and use your spray wisely to roll back the monkey in the wasp lair.